With the support of parkrun and Wigan Athletic, The Brick ‘5k for 5k’ run has been rescheduled due to poor weather to Saturday the 12th January at 9am at Haigh Hall. 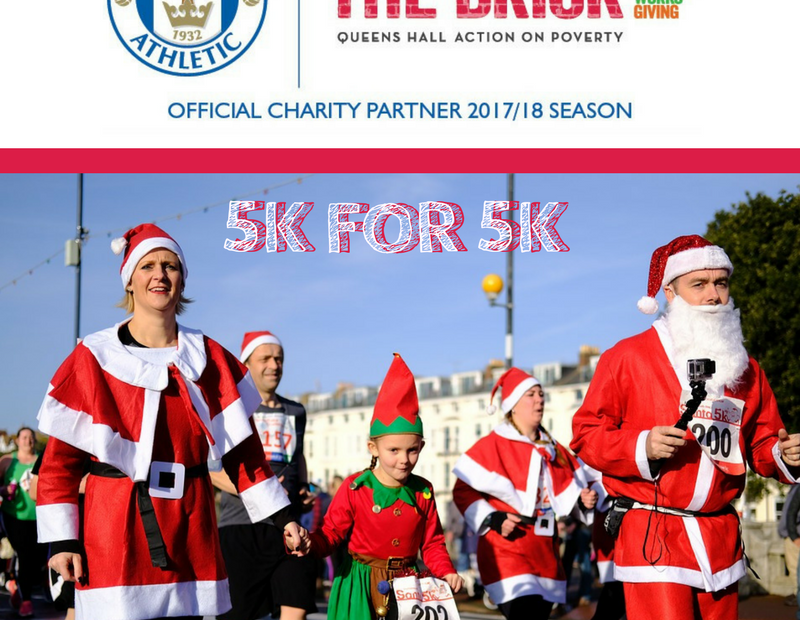 We’re looking for 100 supporters to run or walk the 5k course in their favourite festive jumper or full Santa suit and help us raise £5000 to help rebuild lives across the Wigan borough – that’s just £50 per supporter. Thanks to Wigan Latics, the first 100 sign-ups will receive a pair of match tickets for the Wigan Athletic vs Peterborough game on Saturday, January 12th. Two hospitality tickets will be awarded to the supporter who raises the most funds. Children under the age of 11 must be accompanied by an adult and dogs must be kept on a short lead. Join in for fun and fundraising or if you want to record your time go to: www.parkrun.org.uk/haighwoodland to download your personalised bar code. To register or to volunteer, please contact Janet and the fundraising team by emailing giving@thebrick.org.uk or calling 01942 417290.